"One for them, one for me" - it's the mantra of many an A-lister who also yearns to be respected as an artist, appearing in a commercially appealing flick in order to get a passion project off the ground. 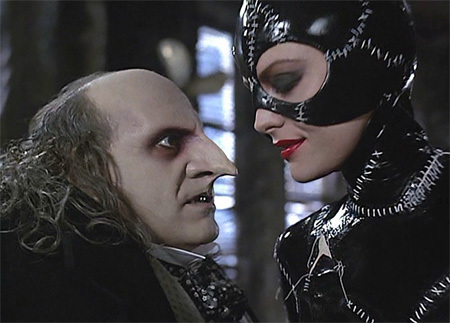 For Tim Burton, that rule also applied to sequels for massive franchise tentpoles, as Batman Returns tries to preserve the muscular appeal of its predecessor while injecting more of the macabre, playful melancholy central to the director's gothic sensibility. We welcome back the boy wonder, Gensho Tasaka, to marvel at Burton doubling down on his signature style and his unique treatment of two iconic Batman villains. It's the second part of our series on the Caped Crusader's blockbuster-era adventures!